Hello there, inbound marketers! Welcome to the very first interview in the 99signals Interview Series. This interview series will feature stories and business advice from successful bloggers, marketers, and entrepreneurs. 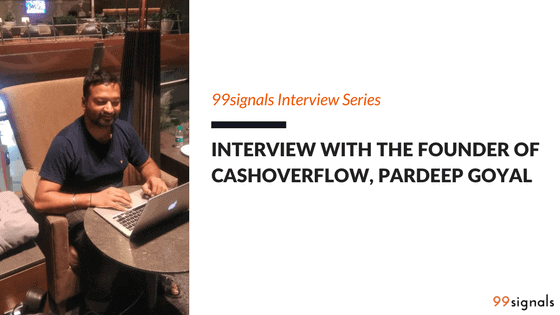 For this interview, we had the privilege of inviting Pardeep Goyal, founder of CashOverflow. Pardeep is a self-confessed finance geek, content marketing expert, and a growth consultant for early-stage startups. He worked with an IT company for 7 years as the Tech lead before quitting to co-found two startups – SchoolGennie and PocketScience. 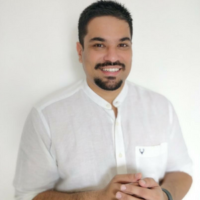 After not finding success with his first two startups, he founded CashOverflow in May 2015 to help people generate passive income and achieve financial freedom. Since its launch in May 2015, CashOverflow has grown organically and currently has a traffic of 200,000 visitors per month. A big thanks to Pardeep for taking the time to answer our questions. Tell us a bit about your blog, CashOverflow. CashOverflow is a personal finance blog focused on two things — financial independence & financial freedom. These two terms may sound similar, but there is a subtle difference between both. Financial independence is having income from multiple sources so that you don’t depend on your salary. First you have to come out of the slavery of 9-to-5 job. Financial freedom is about building enough wealth so that you no longer stress about money and care about things in life that are beyond money. We don’t talk about having 5 crores in your bank and retire rich. We talk about enjoying your life today when you are young and passionate. You can enjoy rich life even with your regular income. With that focus, CashOverflow provides practical insights on saving money, investing money in Indian stocks, and earning passive money. My vision is to help people in establishing a second source of income — and then hold their hands to manage their money & business whether they are earning through Freelancing, Consulting, Blogging or Startup. If you land on my website, you will either learn something to save money or earn passive income. Can you share the story behind CashOverflow? How did it all start? Though I failed at my initial startup attempts, it was clear to me that I had to start an online business given my love for entrepreneurship and the freedom it would entail. Step 1: Wrote down my ideas. Step 2: Wrote down my primary & secondary side skills. Step 3: Wrote down my core interests including the areas that I am passionate about. Step 4: Recalled when I helped someone the last time and made him happy. Post this exercise, I realized that personal finance is one area I was really passionate about. From financial news, financial products, using credit cards to save money, money saving hacks on shopping & travel, investment related philosophies, income tax laws, and so forth. 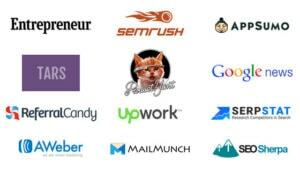 This combined with my growing love for content marketing made CashOverflow a no brainer for me. That’s how I started CashOverflow in May, 2015 as a hobby project and worked on it part time almost for a year. I slowly got a hang of it and started loving it but I was not making any money from CashOverflow. I am working full time on CashOverflow from September 2016. I published my annual income report for my readers and will keep publishing income report every year. So, without worrying about money and failure, I went ahead to build CashOverflow as my full time business. What is your content creation process? And how do you generate traffic to your site? My content creation process involves a short-term and a long-term strategy. 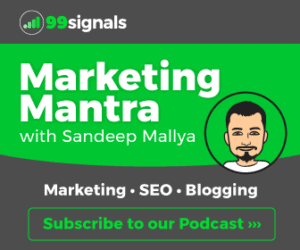 The short-term strategy is focused on creating viral content and the long-term strategy involves improving SEO of existing articles to increase search traffic to the blog. I’ve always focused on quality rather than quantity. I published only 18 articles in the first year. But people loved whatever I published. The short-term strategy became successful as the articles I wrote became viral and brought in the necessary traffic to CashOverflow. Similarly, for the long-term strategy, I performed keyword research and made a list of topics that people were searching for and wrote content on the same. But, content creation alone doesn’t help in bringing your targeted traffic, no matter how good your content is. Therefore, once I published the content on CashOverflow the next task was Content Distribution which again involved two strategies. So, for quality link building, I reached out to hundreds of people in my industry including different media publications and niche websites. CashOverflow’s authority increased because the quality of these publications/websites was very high and my content started to rank well in the search results. That’s how I grew my traffic further. Along with link building, whenever I published a new article on CashOverflow, I reached out to people on LinkedIn, Facebook, and Email to promote the same extensively. Lastly, I measured my website’s traffic consistently via Google Analytics and improved my content strategy to optimise for SEO traffic. I relied heavily on SEO because that was a natural fit to what I was doing on CashOverflow. What is the biggest roadblock you’ve faced in your blogging career? I started premium newsletters (weekly insightful email) to help 1000 people in starting & growing an online business. The biggest challenge is making them committed to their own work. People expect the results (money) as soon as they start a website or blog. To make them committed, I started giving them assignments and asked to fill up their progress in Google form. I removed the members from the Newsletters when they failed to submit their progress continuously for two months. It worked both ways, I lost a few really good members who could not fill up the forms because of some personal issues, and some who thanked me for pushing them to jump the wall every month. I stopped enrolling new members into premium newsletters because now I have filtered out a passionate and committed group of about 250 members out of more than 500 people who joined till date. I will keep working with them in the future. Most people start blogging because they think it’s an easy platform to earn passive income. But only a few of them end up doing this with passion. What are your thoughts on blogging for money vs blogging for passion? The first thing is that you should start blogging to learn content marketing. Money will come when you start getting organic traffic on your website. The second thing is that you should run your blog like a business. Below are 5 building blocks of any business and I applied the same on my blog. I was able to understand the common pitfalls of business during my failed attempt of startups. I got success on my blogging business by applying the same knowledge. I suggest new comers to try out things and grow by doing mistakes. You don’t have to worry about technical things because WordPress blogs are very easy to maintain. What’s your plan for 2018 and beyond? I want to run a liberal digital marketing agency (we picked a name UnMarketing Media) where we will keep everything transparent with the team and clients. We will pick only those clients who believe in publishing quality content. We will not provide traditional marketing services that is focused on hard selling products but we will provide unmarketing services that engage your customers with your content. The client will be able to see our costs & resources that are going into the project and our team will be able to see the the value distribution in the team. It sounds like Euphoria and it’s difficult to execute without a passionate & honest team. We will go as we find the right people and grow very slowly in the process. What’s your favorite marketing book? Can you name a few marketing blogs that helped you in your blogging journey? I have read a lot of books & blogs on marketing. I published a list of my favorite marketing books on StartupKarma. I loved Traction and Hooked for startup marketing. Everyone should read a couple of books on human psychology to get better at marketing. Influence: The Psychology of Persuasion, is a must to read book. My favorite blog list keeps on changing as I learn & grow. In the starting days of my blogging I learned a lot from Buffer, Groove and OkDork blogs. I recommend Banklinko for SEO and CopyHackers for content writing. These days, I don’t read blogs but I learn by observing what bloggers and marketers are doing. What are your top tips for writing a successful blog post? I have learned a fraction of writing successful blog posts. My best articles came out when I kept my reader in mind and tried to solve his problems through my content. That is the first & most important thing in a successful blog post. Later comes the structure, storytelling and flow of the content. Once you learn the art of structure and storytelling then you can easily repurpose your content for creating multiple type of articles by looking at the stats of your website. Improve the formatting by keeping short sentences and short paragraphs. Add more visuals and data to backup your claims. There should be a mixture of images and videos in your content to have more engaging blog posts. Hi Sandeep you doing a great job i am also passionate about startups and technology and a fan of Pardeep Goyal. Thanks, Sandeep, I really want to know something about Pradeep, I am also a beginner and working in the same niche as Pradeep, I am following Pradeep and want to be another (conjuice baniya).